Saudi Arabia’s King Salman launched projects worth 29.9 billion riyals ($7.97 billion) Wednesday in the capital Riyadh, the latest in a series of high profile investment announcements that signal support for his son and heir. State TV showed King Salman and his son Crown Prince Mohammad bin Salman listening to a briefing on the development projects in areas ranging from health care, education and housing to public transportation and state services. In addition to the 360 new projects announced Wednesday, the king proclaimed the opening of 921 other projects already built for another 52.3 billion riyals. Riyadh governor Faisal bin Bandar said in a speech during the televised ceremony the development projects were part of the kingdom’s 2030 vision, referring to an economic reform program launched by the crown prince. Crown Prince Mohammad, 33, has pledged to reform the economy and ease Saudi strict social rules. In November, King Salman toured the kingdom with the crown prince and launched billions of dollars worth of development projects. 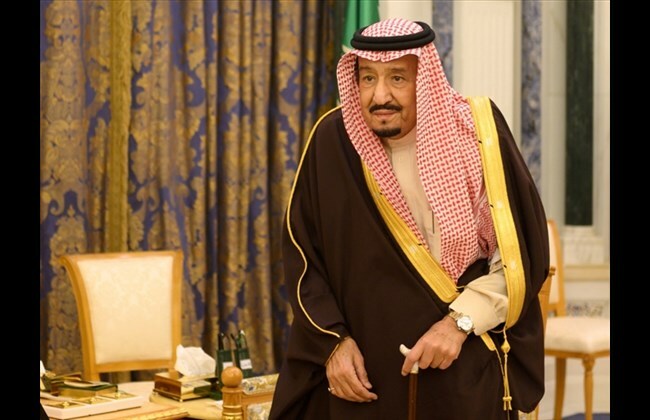 King Salman served as governor of Riyadh for five decades, during which the capital grew from a small city of clay houses to a metropolis with skyscrapers, shopping malls and modern infrastructure.